Growth last year came in lower than the 8.2% rate for 2015-16. Central Statistics Office revised it upwards from its provisional estimate of 8%. The revised estimates take into account a wider range of numbers, including employment data. New Delhi: In line with the earlier official estimate of the country's GDP growth in the last fiscal, demonetisation-hit India's gross domestic product during 2016-17 grew at 7.1 per cent, Central Statistics Office (CSO) data showed on Wednesday. According to the CSO's first revised estimates of national income released on the eve of the Union Budget for the next fiscal, growth last year came in lower than the 8.2 per cent rate for 2015-16. This has been revised upwards from its provisional estimate of 8 per cent. In terms of Gross Value Added (GVA), which excludes taxes while including subsidies, the revised estimates showed a lower growth at 7.1 per cent for 2016-17, also as compared to the 8.1 per cent real GVA growth registered for 2015-16. The GVA estimate has, however, been revised upwards from the earlier provisional estimate of 6.6 per cent. The nominal GDP, or that at current prices, for 2016-17 has been revised down to 10.8 per cent from 11 per cent estimated earlier. 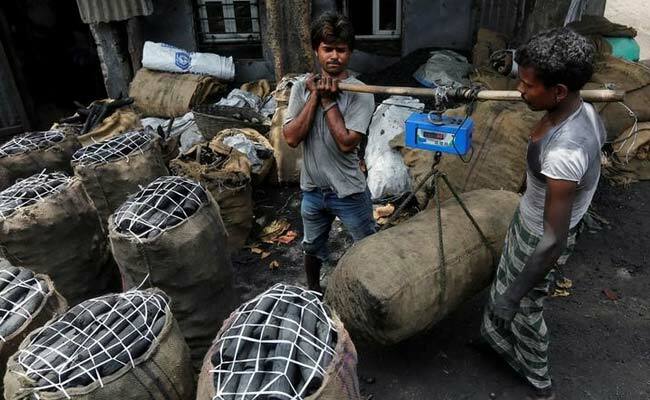 For the previous year, nominal GDP has been pegged at 10.4 per cent. The Indian economy had grown at its fastest since 2011 to reach 8.2 per cent growth during 2015-16. On the most disruptive measure since Independence -- demonetisation, which, along with GST, "decoupled" the Indian economy from the rest of the world for around four to six quarters -- the Finance Ministry's Economic Survey 2017-18, released on Monday, said that carrots rather than sticks should be the mainstay of government policy in cleaning up the economy. Meanwhile, data on India's eight core infrastructure industries for December also released on Wednesday, showed a sharp fall in growth at 4 per cent, as against 7.4 per cent in November.